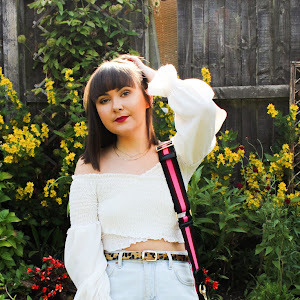 #CharityShopBop - Why you all need a scarf this summer! With the UK being hit with yet another heatwave, the summer so far has felt much more like a summer abroad than an English summer. I haven't been living in the usual raincoat and jeans combo that us Brits class as our summer wardrobe, instead I've had to make the most of what actual summery clothes I've got and it's been a lot harder than I thought. When your wardrobe only caters for a few weeks of warmth in a year it gets hard to keep finding new, comfortable outfits! Like me, I'm sure you've all reached the point where you just don't know what to wear but feel theres no point splurging out on new things because let's be honest, we know this beautiful weather is bound to end. 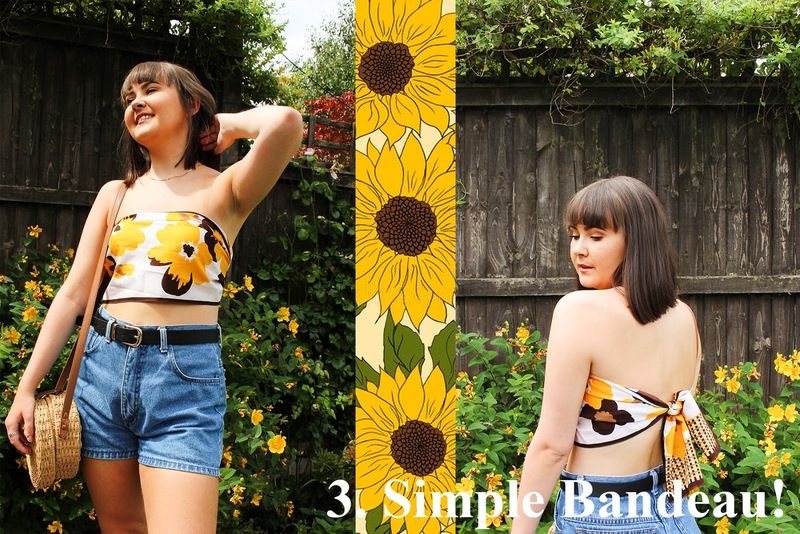 Todays post is a quick, affordable and ethical way of changing up your heatwave outfits with the help of some trusty 50p scarves! 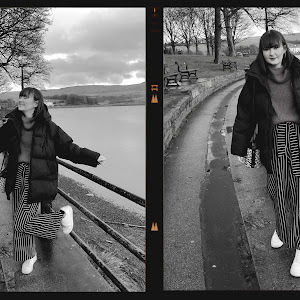 When you think of scarves, you either think of old ladies, chic Parisians or cold winter days but I'm here to change your opinions and make you realise they should be a staple piece this summer. 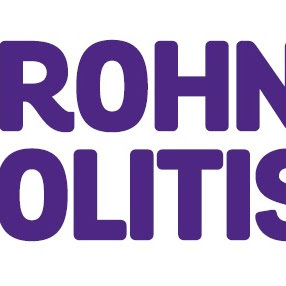 They are so versatile and I can assure you that no matter what Charity Shop you go in there will be a huge selection of scarves available, so go and have a look! 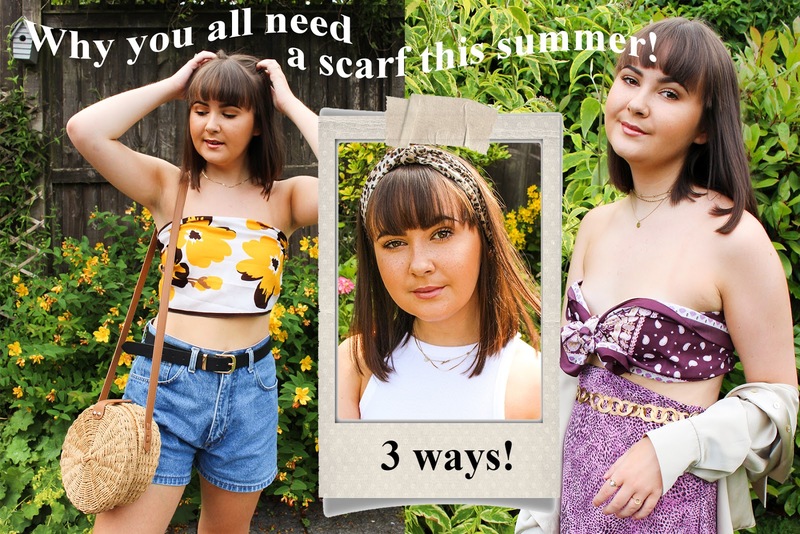 I've styled 3 different scarves in 3 different ways which are all perfect for these humid, heatwave days along with still being pretty little looks! I've seen so many people wearing these expensive, beautiful, silky headbands whilst relaxing on sun loungers presumably in the South of France, living the unrealistic dream life. Although their lives seem to unattainable, this headband gives me a lil snippet of it on a budget! My leopard print scarf cost me 50p from a Scope charity shop which was an absolute bargain. I figured out how to tie it like a headband after a few failed attempts and that was it, a new chic accessory! If you're struggling how to tie it up just give it a google, there are so many different ways to do it that you'll eventually find one that suits you. This look is giving me all the festival vibes and making rather sad that I have no festivals to go to! We all know bandeaus have been such a big trend this year and more recently, I've seen a lot of bow inspired bandeaus floating around online but at ridiculous prices. Who wants to pay all that money for such a small bit of material? This silky paisley patterned scarf cost me a grand total of £1 from a local Charity Shop and it was giving me all the bohemian festival vibes that I adore. All I did was tie it up tight at the front, knot it 3/4 times and made sure I was wearing a strapless bra underneath to tuck bits of material into so it didn't fall down. 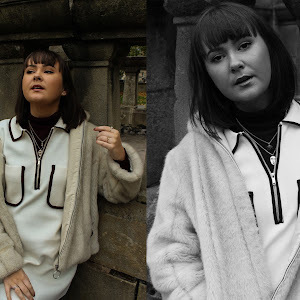 The only thing I'd say is that with it being silky, it's more prone to slip down but if you pair a strapless bra underneath and use that to give it a bit more shape I honestly think it works just as well as the £25 tops you see on PLT! Finally, in the year of 2018 we all love a simple bandeau and I want everyone to know that any scarf of any shape and style can work as a simple bandeau. Tie it up at the back and you're good to go! So many online stores have been releasing tops that are basically just scarves but they charge way more than you'd pay for a simple scarf. Cheat the system and get down to a charity shop! 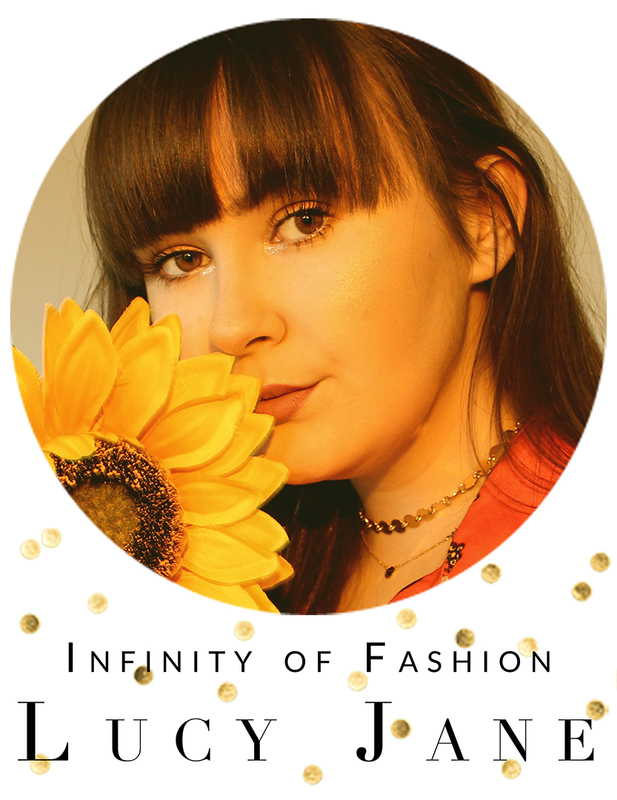 With it being so warm, you don't want to be sweating in a t shirt, you want to feel airy and comfortable which is why using a scarf as a top is such a good option. Grab any scarf you like, pair it with denim shorts or a skirt, pop on some sandals are you're ready for this heatwave! So that is why you all need a scarf this summer and I'm sure I could think of many other ways to wear it; tie it onto a bag, use it as a belt or simply wear it as a scarf!! I'd love to see if anyone takes me advice and gets thrifty with scarves, tag me on instagram @lucysb_ or let me know it the comments below. such a good idea, love this post!! 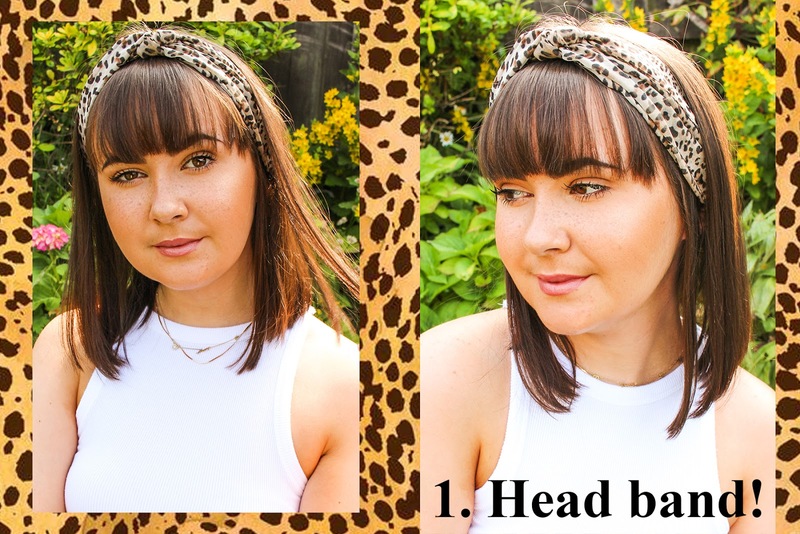 Im loving the headband trend atm and this is such a sustainable and cheap way of growing my collection of headbands lol! !